Welcome to the Online Scholarship Guide. Through this website, Columbus County Schools students and parents can access information about hundreds of scholarships that cover a wide range of academic disciplines and eligibility requirements as well as tips to help you get scholarships and links to other resources about scholarships and financial aid. Financial assistance is a major concern for most students who plan to continue their education beyond high school. 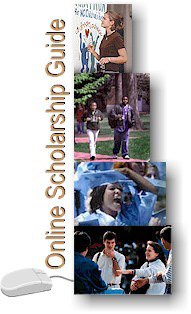 This Online Scholarship Guide contains scholarships announced through the Counseling Department of your high school. Scholarship name, discipline, value, eligibility criteria, approximate due date and contact information are given for each scholarship. Review this information carefully. Not all applications will be available at the beginning of the school year since many of the sponsoring organizations wait until close to the deadline to send them. In addition, scholarship providers sometimes change application deadlines, so be sure to contact your school counselor about all scholarships in which you have an interest.